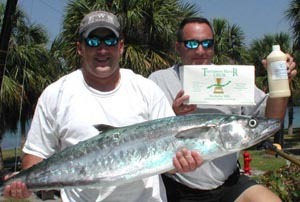 From Florida across the Gulf to Texas, Aylesworth has you covered for Tournament Master® Chum. They can also drop ship to the West Coast, so give them a shout. Call them at 1-800-227-4577 for find out which retailers near you keep Tournament Master™ Chum in their freezers or how they can ship it to you.